Exposure to secondhand smoke can lead to a number of health problems, which is why smoking has been banned in most public places. However, exposure to secondhand smoke is still quite common in the household, and new research suggest that exposure may not only lead to physical harm. A new study from Spain has found that children exposed to secondhand smoke at home are up to three times more likely to have attention deficit hyperactive disorder (ADHD), Reuters reports. Data from the 2011 to 2012 Spanish National Health Interview Survey was analyzed by Alicia Padron of the University of Miami Miller School of Medicine in Florida and colleagues in Spain. The parents of 2,357 children ages four to 12 were asked about the level every day secondhand smoke their children were exposed to, according to the article. Children exposed to less than one hour per day of secondhand smoke, were 50 percent more likely to have some mental disorder. 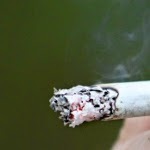 While there is a lot of evidence about the harms of secondhand smoke on physical wellbeing, research on mental health problems associated with secondhand smoke is still new, said Lucy Popova, from the Center for Tobacco Control Research and Education at the University of California, San Francisco. “Research on effects of secondhand smoke on mental health have been really just emerging and this study really contributes to this growing body of evidence that exposure to secondhand smoke in children might be responsible for cognitive and behavioral problems,” said Popova. There is no amount of secondhand smoke that is considered safe; any exposure is bad, according to Popova. The findings were published in Tobacco Control.